I've always wanted to knit for charity, but most of them ask for "real wool" or at least "natural fibers" and my budget usually doesn't allow for those. Last week I realized I do have real wool. A lot of it actually, since the mountain of yarn I bought two years ago is still not gone. 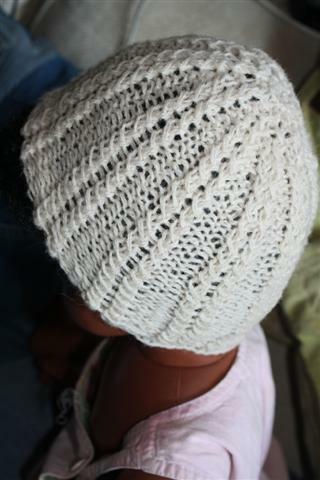 I started with a hat using that special stitch from the shawl I made. and another one from Soulemama's pattern. There was some white wool too. So another Soulemama hat was made. And one more of .the special stitch hat.